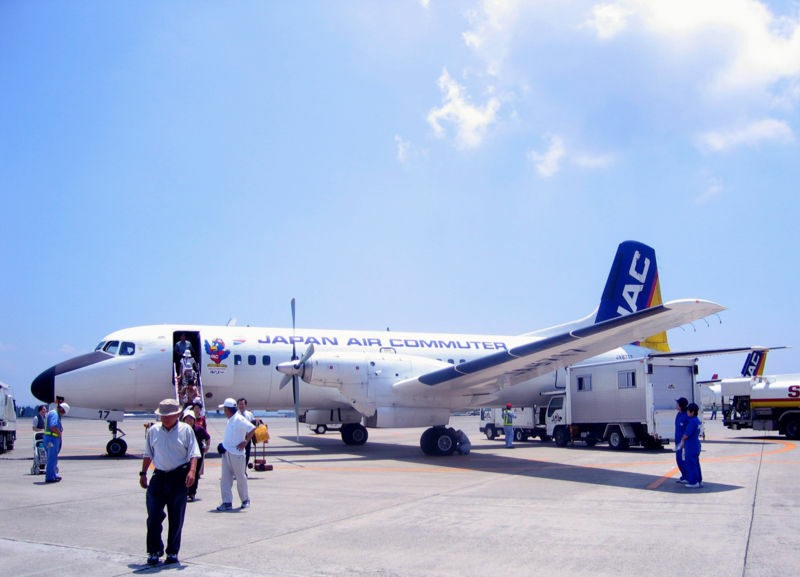 The NAMC YS-11 is a turboprop airliner built by a Japanese consortium, the Nihon Aircraft Manufacturing Corporation. The program was initiated by the Ministry of International Trade and Industry in 1954: the aircraft was rolled out in 1962, and production ceased in 1974. To date, the YS-11 is the only successful commercial aircraft made by a Japanese firm, either before or after World War II. 182 were produced in total. Although most of the aircraft was designed and manufactured in Japan, the engines were built by Rolls-Royce. Also, electrical appliances, gauges, machinery and cockpit hardware were supplied either from Japanese Industries or foreign overseas providers during the YS-11's time of production. The consortium of companies that made up NAMC included Mitsubishi Heavy Industries and Fuji Heavy Industries (now better known as the parent company of automobile manufacturer Subaru), both major producers of fighter planes during World War II. The twin-engined YS-11 delivered similar operational performance to the four-engined Vickers Viscount, and had 50% more capacity than the similarly-configured Fokker F.27. On September 30, 2006, Japan Air Commuter flight 3806 marked the final flight for a YS-11 in Japan's commercial aviation industry. In 2007, the YS-11 was added to the Mechanical Engineering Heritage of Japan No. 13. An Asian Spirit YS-11 from the Philippines. 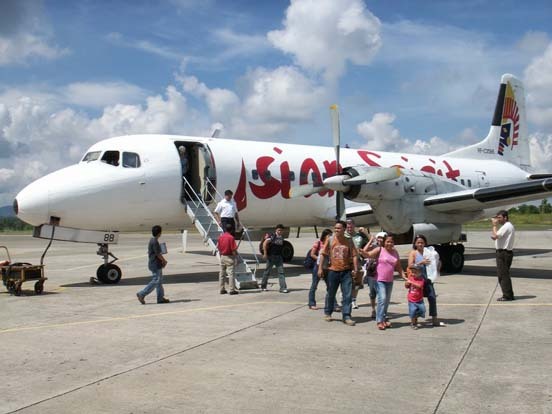 In August 2006, a total of 21 NAMC YS-11 aircraft (all variants) remained in airline service with Aboitiz Air (6), Air Link International Airways (1), Air Philippines (3), Asian Spirit (2), Mahfooz Aviation (1), Phuket Airlines (4), South Phoenix Airways (2), Aero Union (1) and Gacela Air Cargo. An additional aircraft is operational with the Hellenic (Greek) Air Force (a former Olympic Airways aircraft, designation SX-BBI) in the role of in-flight calibrator for ground based navigational aids.] (1). Pacific Southwest Airlines - Used to train Japanese pilots. Never painted in PSA livery. There have been over twenty hull loss accidents involving YS-11 aircraft. 13 November 1966, All Nippon Airways Flight 533 crashed into the sea near Matsuyama, Japan with the loss of all five crew and 45 passengers. 20 October 1969, All Nippon Airways Flight 104 overran the runway at Miyazaki Airport, Japan. All four crew and 49 passengers survived. 12 August 1970, China Airlines Flight 206 crashed into Yuan Mountain on approach to Taipei, China. Two crew and 12 passengers were killed. 1 April 1971, a Merpati Nunsantara Airlines YS-11 made a wheels-up landing at Kemayoran Airport, Jakarta Indonesia while on a training flight. 3 July 1971, a TOA Domestic Airlines Flight 533 flew into Yokotsu Mountain on approach to Hakodate Airport, Japan. All four crew and 64 passengers were killed, the worst loss of life in an accident involving the YS-11. 7 November 1971, A VASP YS-11 was destroyed by fire after a candle was lit inside when the aircraft was being guarded overnight after being bogged down at Aragarças Airport, Brazil. Both guards were killed. 12 April 1972, a VASP flight between São Paulo and Rio de Janeiro crashed 50 kilometres (31 mi) nort of Rio de Janeiro. All four crew and 21 passengers were killed. 18 October 1972, a Cruzeiro YS-11 overshot the runway at [[Congonhas-São Paulo Airport|Congonhas Airport, São Paulo and was damaged beyond repair. 21 October 1972, an Olympic Airlines YS-11 crashed into the sea on approach to Ellinikon International Airport, Athens. One crew member and 36 passengers were killed. 23 October 1973, a VASP YS-11 overran the runway at Santos Dumont Airport, Rio de Janeiro after a rejected take-off and ended up in Guanabara Bay. Eight passengers were killed. 5 March 1974, a Pacific Southwest Airlines YS-11 crash landed in the desert 14 kilometres (8.7 mi) east of Borrego Springs, California while on a training flight. Aircraft was written off. 6 November 1974, a Reeve Aleutian Airways YS-11 was written off in a hangar fire at Anchorage, Alaska. 28 May 1975, TOA Domestic Airlines Flight 621 was damaged beyond repair in a landing accident at Osaka International Airport when a tyre burst and the aircraft departed the runway. 23 November 1976, an Olympic Airlines YS-11 flew into a mountain near Kozani, Greece. All four crew and 46 passengers were killed. 29 April 1977, a Cruzeiro YS-11 departed the runway on landing at Ministro Victor Konder International Airport, Navegantes, Brazil. 17 July 1977, a Philippine Airlines YS-11 ditched on approach to Mactan-Cebu International Airport after an engine failure. 11 March 1983, Nihon Kinkyori Airlines Flight 497 undershot the runway at Nakashibetsu Airport, Japan. 13 January 1987, a Mid Pacific Air YS-11 force landed in a field at Remington, Indiana after both engines were mismanaged. 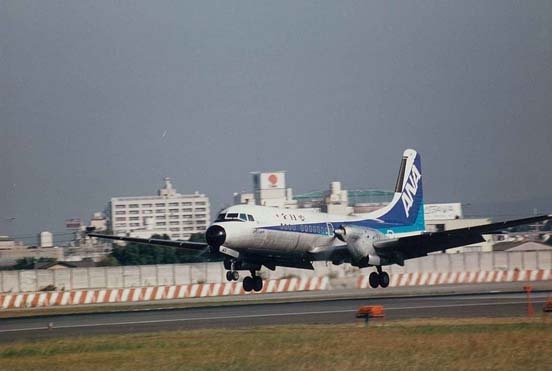 10 January 1988, TOA Domestic Airlines Flight 670 overran the runway at Miho-Yonago Airport, Yonagp, Japan after a rejected take-off and ended up in the sea. Aircraft had not been de-iced prior to take-off. 15 March 1989, a Mid Pacific Air YS-11 undershot the runway at Purdue University Airport, Lafayette, Indiana due to loss of pitch control caused by icing on the tail. 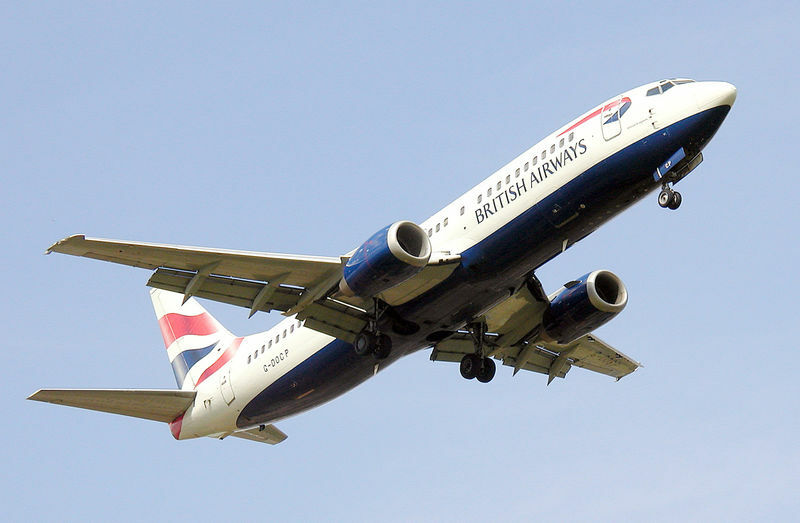 The aircraft was on a positionig flight, both crew members were killed. 6 March 1992, an Airborne Express YS-11 made a wheels-up landing at Clinton Airport, Clinton, Indiana while on a training flight due to pilot error. 24 June 1992, an Air Philippines YS-11 struck a ground power unit while taxying at Naga Airport, naga City. Aircraft was destroyed in the subsequent fire. 16 February 2000, Air Nippon Flight 354 departed the runway at Okadama Airport, Sapporo, Japan and collided with a bank of snow. 3 November 2001, a YS-11 being prepared for delivery to an airline in Burundi was destroyed by a fire caused by a stray firework at London Southend Airport. 11 September 2005, Phuket Airlines Flight 326 departed the runway at Mae Sot Airport, Thailand. 2 January 2008, Asian Spirit Flight 321 suffered an undercarriage collapse on landing at Masbate Airport, Philippines.